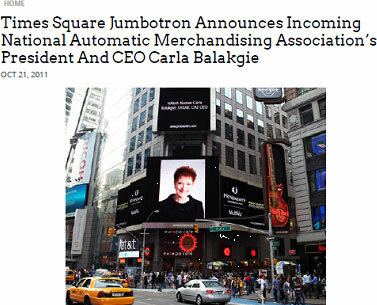 Use the Power of Times Square to Promote Your Message! 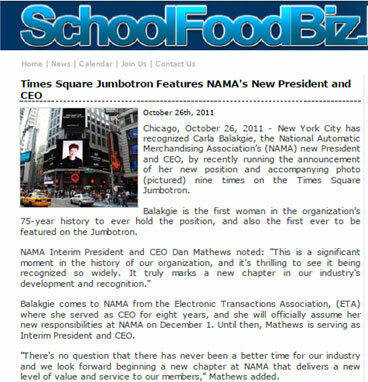 Do you have a new Chairman or Executive Director you want to recognize? An award or award winner you want to acknowledge? 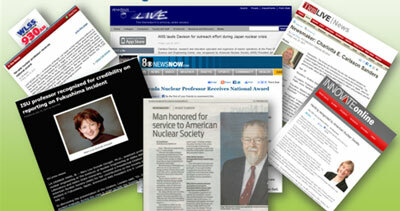 When you or your organization has a big story to tell, we have the tools to deliver it to a big audience. Whether it's a cover story in your trade publication or one in your local newspaper, we work with you to create a campaign that tells your story in the outlets that are important to you. 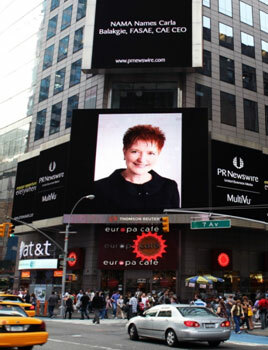 For many of our clients that means telling their story in one of the world’s largest and most recognized outlets – on the Times Square Jumbotron. 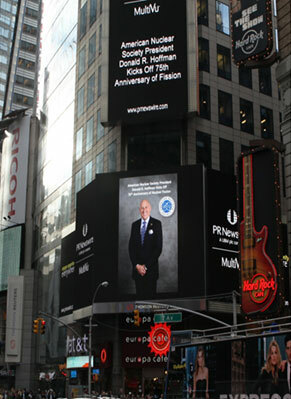 In addition to your photo and announcement appearing on Times Square, you'll receive a high resolution snap shot of it as it appeared that day that is suitable for framing. 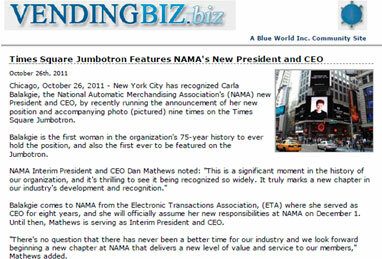 And you can make sure all your stakeholders know too by letting us help you with a press release and photo that tells the world about your accomplishment.